West Sea Otter was calmer than it has been in a week, but Pine Island and Egg Island (which are right on our route) were rougher. The forecast called for northwest winds 15-25 knots, decreasing to 5-15 in the afternoon. So I decided to go back to sleep and leave a few hours later, hopefully to take advantage of the calming trend throughout the day. 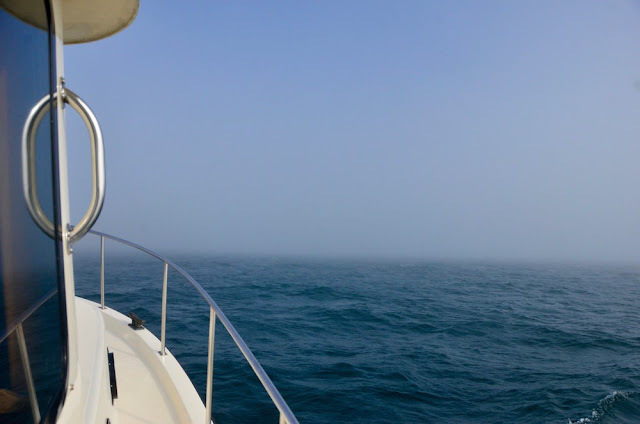 We eventually left Pruth around 8:00 a.m. Fitz Hugh Sound was calm and the skies were sunny. Things were looking good. 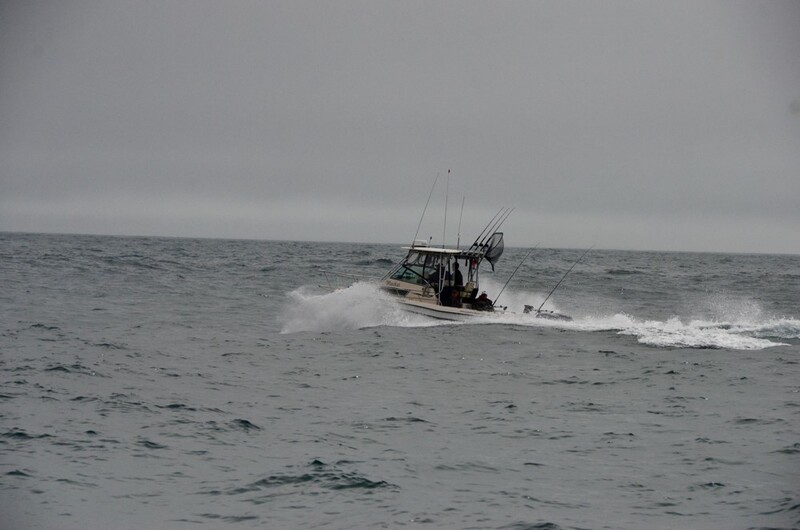 As we motored south of Calvert Island the swells built. They weren’t lazy ocean swells, but steep, white-capped waves 4 to 8 feet tall, right on the beam. We were rolling around a lot, so I bumped the engine speed up to 1600 rpm which provided a somewhat better (though still rolly) ride and settled in for the next several hours. By the time we were abeam of Cape Caution conditions had calmed down a bit, and once we turned southeast and put the seas behind us the ride really improved. 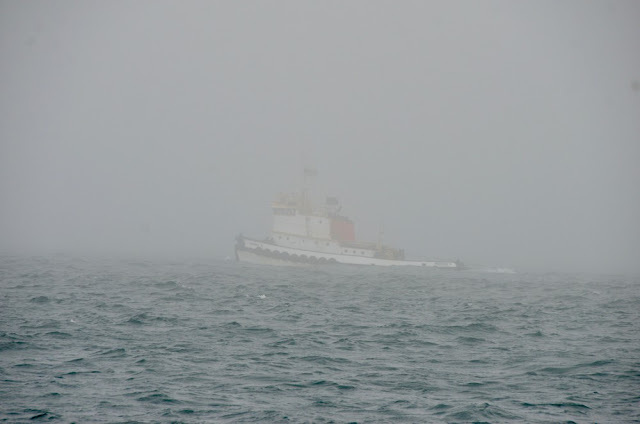 Still, it wasn’t a fun day on the water. Oh, I forgot to mention the fog. We rarely saw more than a quarter mile. Radar and AIS make travel in these conditions safe and relatively easy. 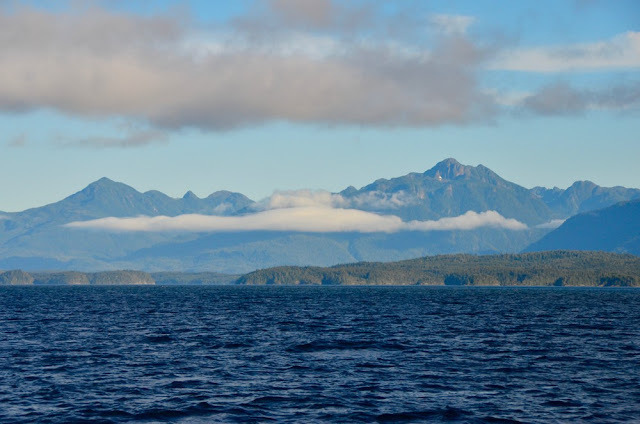 I’d originally planned on spending the night in Blunden Harbour, but once we were into Queen Charlotte Strait conditions were calm enough that I just continued on. Might as well make miles while we can. 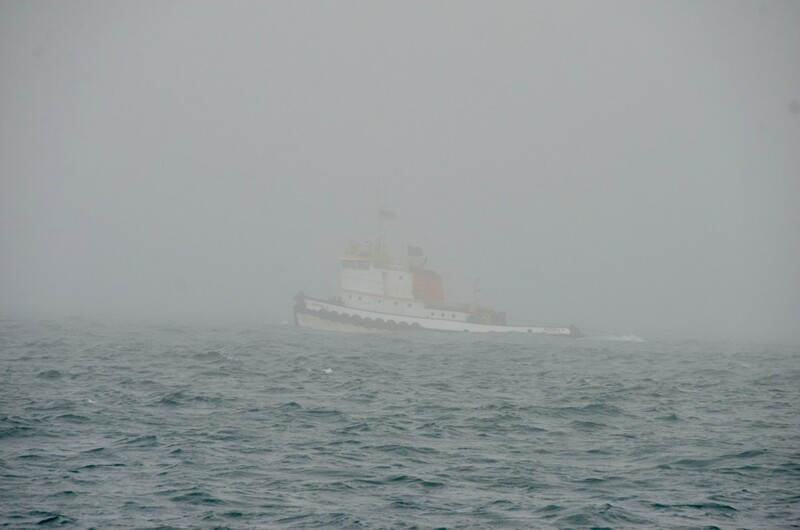 We eventually pulled into Farewell Harbour just before 8:00 p.m., after finally emerging from the fog around 7:00. Tomorrow we’ll get an early start down Johnstone Strait and try to beat the wind.